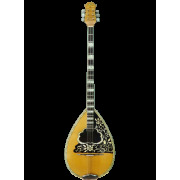 Handmade 3-chorded Bouzouki. 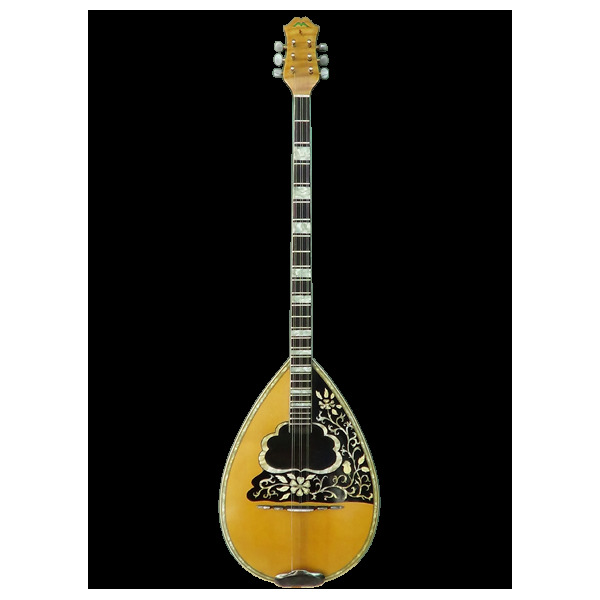 Designed entirely in our workshop based on the types of bouzouki in 1930s. The body is pear-shaped, has 31 stripes (douges) of 300 year old mulberry tree and side parts made of exceptional quality maple. 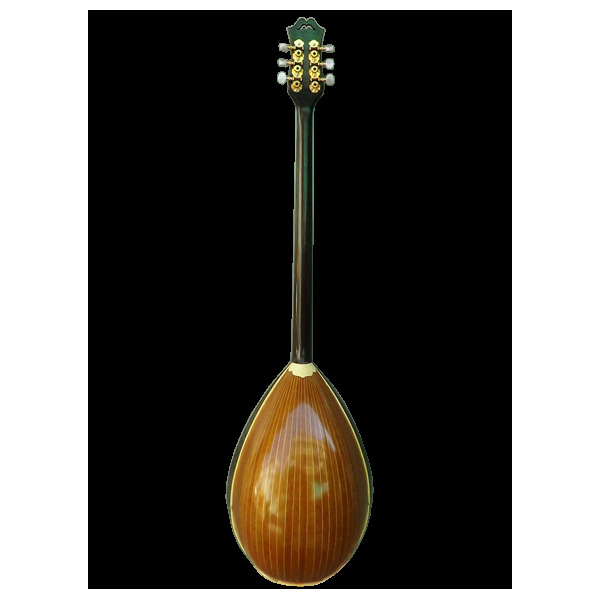 The neck is made of spruce with ebony plywood inside and the head is made of maple. The top is made of first quality spruce and has a handmade plastic rosette. Ebony fingerboard and hand-varnished natural resin. Scale 68cm.